Fall is upon us and with it brings game days and potlucks and the need for quick, easy, and delicious appetizers. One of the things I love most about fall is that Maple is back in season. 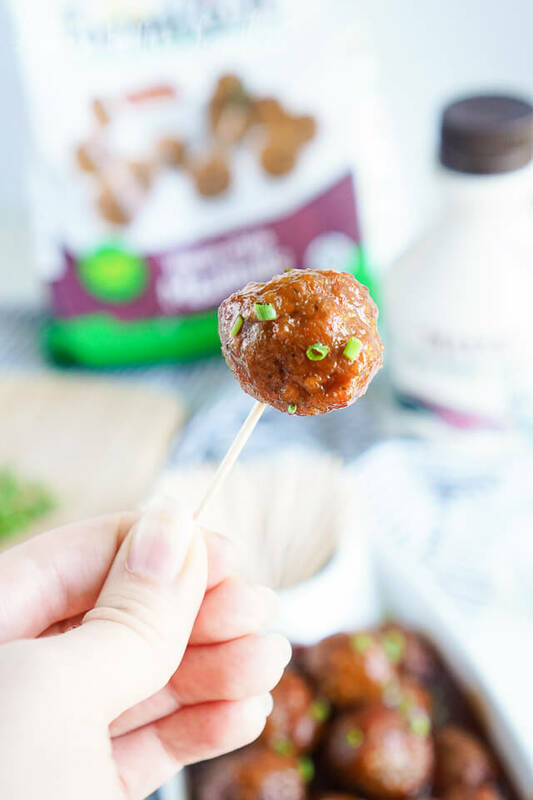 I love maple and I love that it’s an extremely versatile flavor that can be used for sweet and savory dishes. 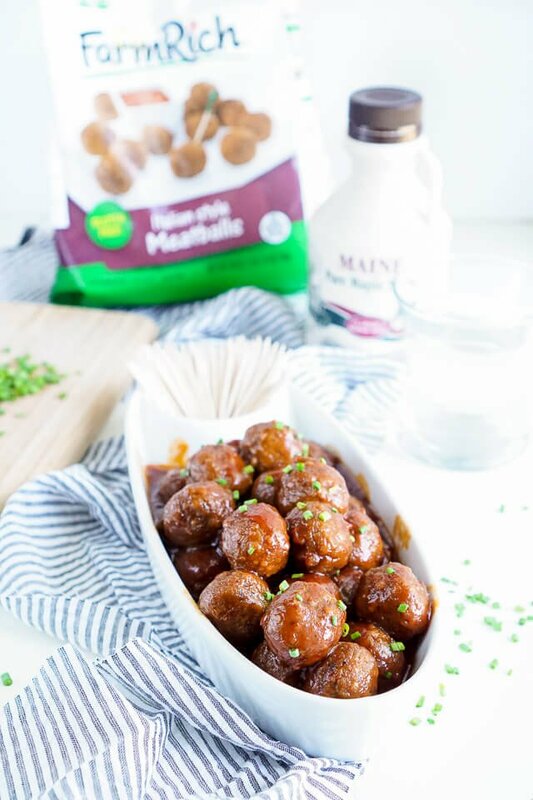 When paired with Farm Rich Italian Style Meatballs and chili sauce, you get the best of both worlds in this full flavored snack! 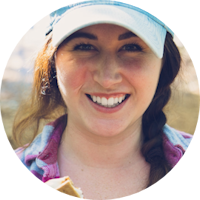 I love Farm Rich products and right now their Back Your Snack Contest is in full swing and you can help one lucky contestant win $10,000!!! Entries for the Farm Rich Back Your Snack came in back in August, but now it’s time to vote for the best recipe submission! 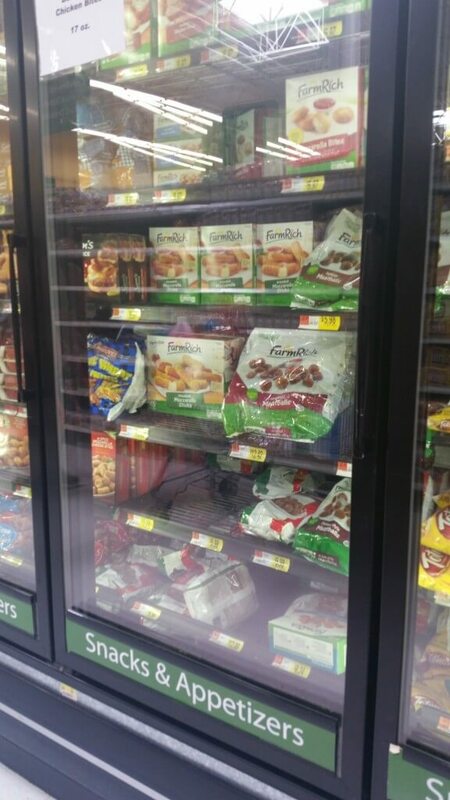 You can check out the in-store demos at Walmart to vote on 9/19 – 9/20 and 10/9 – 10/11. For all of the details, check out the rule book here and find a demo near you with the store listing. Plus, by voting you’re entering into a sweepstakes too with a chance to win great prizes of your own! For me, maple makes everything better, that’s probably the New Englander in me, but it’s true! Also, when we’re at parties, Matt and I tend to hang out by the meatballs all night, who needs the other stuff when you’ve got cocktail meatballs in a killer sauce. The chili sauce gives them a nice hint of heat that’s perfect for those who love it and still enjoyable for those who prefer things more on the mild side. Plus, did I mention you can make these in less than 30 minutes with only 6 ingredients!!! 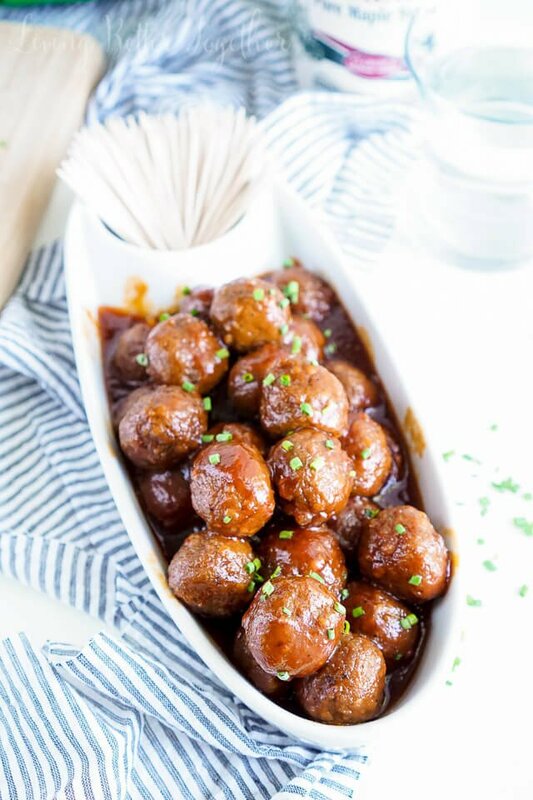 Seriously, these meatballs are AWESOME! And according to my husband they make great mini meatball sliders too! What’s you favorite appetizer when it comes to fall get togethers? Do you have a fun recipe you make with Farm Rich products? I’d love to hear all about it in the comments! Stir together liquid ingredients in a small bowl. 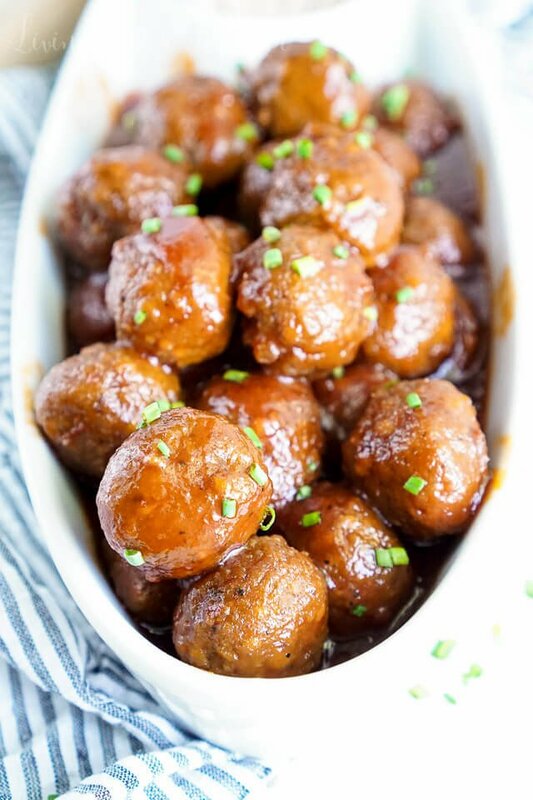 Add meatballs and sauce together in a large pot and stir until meatballs are evenly coated. 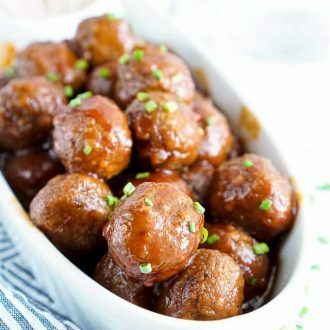 Cover and cook over medium heat for 20 - 25 minutes until meatballs are tender, stir every few minutes for an even cook. 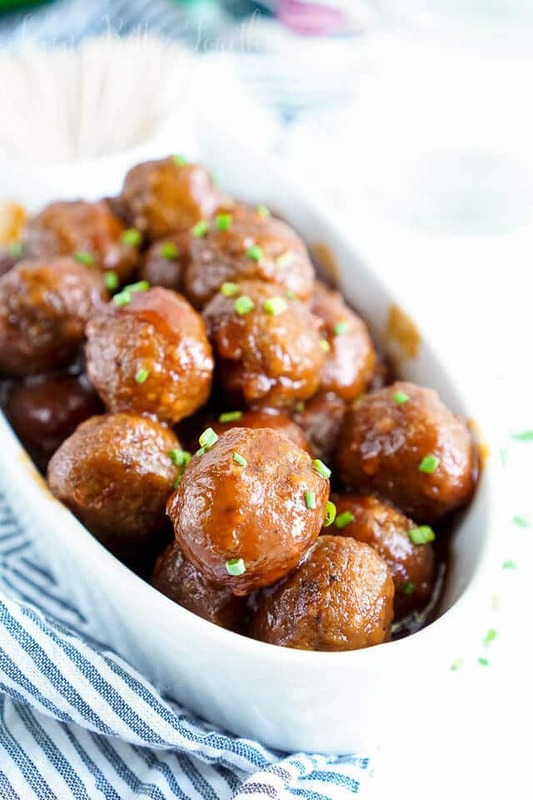 Transfer cooked meatballs to a serving dish and garnish with chopped chives. *Use a brand like Rose's that is often found in the liqueur aisle at more grocers.